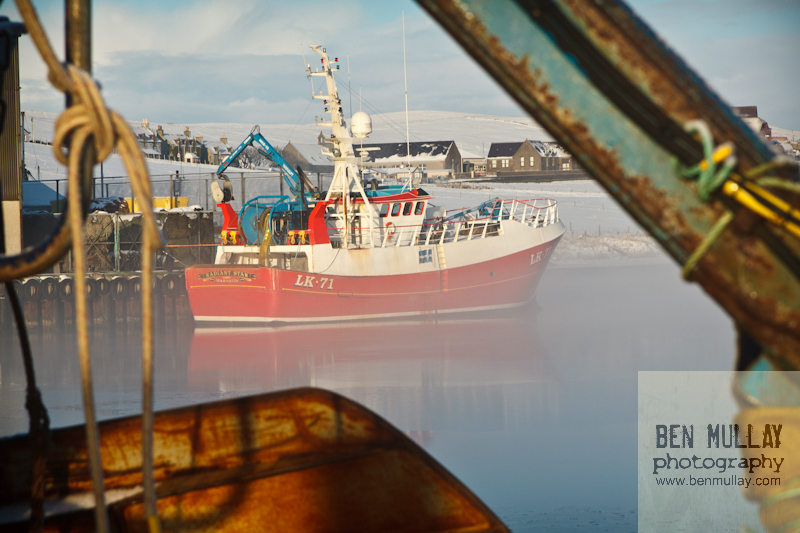 Another image from my series in and around Scalloway Harbour. Pictured above is The Radiant Star LK71 surrounded by freezing fog. I took a night exposure of the same boat which can be viewed at http://www.benmullay.com/blog/2010/12/24/the-radiant-star-lk71/. Next PostHappy New Year 2011!